When AVL was club based, we were the most successful club in Australia. Mt Lofty wins the 2006 Australian Volleyball League defeating xxxxxxxxxxxx in the grand final played in the show court of the Melbourne Sports and Aquatics centre. Front row: Alicia Davidge, Joanne Healey, Jessica Peacock (Capt), Hannah Zan Voort. Back row: Brian Kemp (Manager) David Bennett Simon Horner, Mick Craven, Adam Maskell (Coach), Tim Janke, Marcus Jones. Front row: Jonathon Hague, Stuart Maycock (Capt), Ben Sawon, Aeden Tutton, Travis Moran. 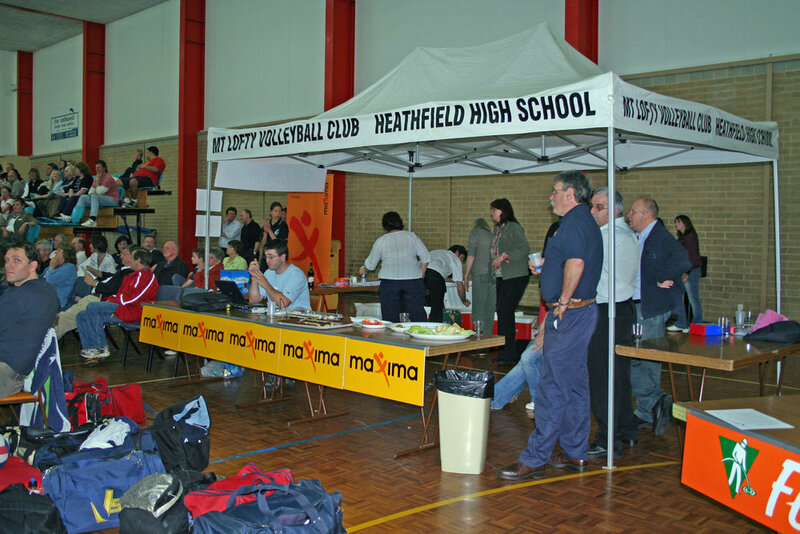 The 2005 Mt lofty volleyball team was in part a big factor in the building of the Lofty Sports Centre. We had a men's and women's team in the event and had to play our home round matches at Marion. As we had invited every council member and local member of parliament to the series at Marion questions were eventually asked as to why we had to play home matches in the city. This AVL series held the crowd record for many years. This was Mt lofty at its finest. Mt Lofty wins the 2002 Australian Volleyball League defeating xxxxxxxxxxxx in the grand final.